Net profit in its British unit dropped 21 pct, blotting the Spanish bank’s solid first quarter. Strong growth in Brazil and Spain, however, more than made up for Brexit-related jitters. More of the same should allow Santander to hit its full-year earnings and dividend targets. 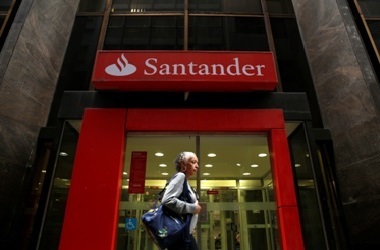 Banco Santander on April 24 reported net profit of 2.05 billion euros for the first quarter of 2018, an increase of 10 percent over the same period of the previous year. Total revenue rose by 1 percent to 12.2 billion euros. The Spanish bank’s costs were equivalent to 47.4 percent of its revenue in the first quarter, up from 46.1 percent in the same period of 2017. Return on tangible equity rose to 12.4 percent, compared to 12.1 percent a year ago. Santander’s common equity Tier 1 capital ratio rose to 11 percent from 10.8 percent at the end of December. The lender reported diluted earnings per share of 11.9 cents, below the 13 cents per share expected by analysts, according to Eikon data. Santander shares were down 1.6 percent at 5.49 euros by 0730 GMT on April 24.